MobiKwik offers you a quick, safe and hassle-free way of recharging your mobile phones, DTH and data cards, paying postpaid, gas and electricity bills, insurance premiums and making wallet to wallet money transfer. Also, every time you use MobiKwik for any of these purposes, you will get discounts and cashback on numerous products and services from various online stores. Use Zingoy to find and grab the best MobiKwik deals, share them with others and earn plump cashbacks. Get 10% SuperCash @ Yatra! Maximum SuperCash that can be availed is Rs. 700. Use code MOBIYAT on the MobiKwik payment page to avail the offer. Offer can be availed once per user every month. Offer valid from 1st March'19 till 30th April'19. SuperCash will be directly credited to your MobiKwik wallet within 24 hours. MobiKwik and Yatra reserve the right to discontinue the offer without any prior notice. Your SuperCash balance can be used on a minimum transaction of Rs.100. Use code: SCMOBIK11 & get 11% off on ShopClues. This offer is available only for Mobikwik wallet users. The minimum purchase amount should be Rs. 999 to avail the offer. The maximum discount that can be availed per order is Rs. 300. SCMOBIK11 is valid till 30-June, 2019. Shipping will be charged wherever applicable. Also get flat 15% MobiKwik SuperCash. Max SuperCash is capped at Rs.200. Get 15% SuperCash @ Rentomojo. Use code: KWIK15 on MobiKwik payment page to avail the offer. Max SuperCash is capped at Rs.300. KWIK15 is valid once every (calendar) month between 12PM on 23 January - 31 July, 2019. SuperCash will be cancelled in case of full refunds or cancellation of orders. SuperCash will be auto credited to customer's MobiKwik wallet within 24 hours. If the order is cancelled or left undelivered at Rentomojo's end, Rentomojo (not MobiKwik) will initiate a refund. Mobikwik Discount: Get 15% SuperCash @ Snapdeal! Get 15% SuperCash @ Snapdeal! Maximum SuperCash that can be availed is Rs. 350. No code required. Offer can be availed twice per user every month. Offer valid from 1st March'19 till 30th April'19. SuperCash will be directly credited to your MobiKwik wallet within 24 hours. MobiKwik and Snapdeal reserve the right to discontinue the offer without any prior notice. Your SuperCash balance can be used on a minimum transaction of Rs.100. Get 10% SuperCash @ EaseMyTrip! Maximum SuperCash that can be availed is Rs. 1000. Use code MBKEMT on the MobiKwik payment page to avail the offer. Offer can be availed once per user every month. Offer valid from 1st March'19 till 30th April'19. SuperCash will be directly credited to your MobiKwik wallet within 24 hours. MobiKwik and EaseMyTrip reserve the right to discontinue the offer without any prior notice. Your SuperCash balance can be used on a minimum transaction of Rs.100. Mobikwik Tuesday Special: Get flat Rs.600 cashback @ Croma Online Store! Tuesday Special Offer: Transact for min Rs.7500 using MobiKwik and get flat Rs.600 Cashback. Offer valid on Tuesdays only. Offer can be availed once every (calendar) month. Rs.100 Cashback will be credited within 48 hours of the transaction. Balance Rs.500 cashback will be credited for the next 5 months on completion of every 30 days from the previous cashback credit date. Offer Valid from 1 January - 30 June, 2019. Tuesday Special Offer: Transact for min Rs.7500 using MobiKwik and get flat Rs.600 Cashback. Offer valid on Tuesday only / Once every month. Rs.100 Cashback will be credited within 48 hours of the transaction. Balance Rs.500 will be credited for the next 5 months on completion of every 30 days from the previous cashback credit date. Offer Valid from 1st Jan 2019 - 30th June 2019. Partial or fully cancelled transactions will not be eligible for cashbacks. Offer valid for only KYC users. User can claim the cashback once in a month either on offline store or online website. Mobikwik Myntra Offer: Get 10% SuperCash @ Myntra. Use code: KWIK10 on MobiKwik payment page to avail the offer. Max SuperCash is capped at Rs.250 KWIK10 is valid once every (calendar) month between 1 February - 30 April, 2019. General Terms & conditions: SuperCash will be auto credited to customer's MobiKwik wallet within 24 hours. If the order is cancelled or left undelivered at Myntra's end, Myntra (not MobiKwik) will initiate a refund. How to Make Payment Online using Mobikwik? You don’t need to waste time or carry money to go and pay your bills anywhere these days as it is possible to do it from the comfort of your home. With Mobikwik, making online recharge and payments is easy, you can now do it anytime and from anywhere. Now if you want to do it easily and get cashback rewards, use Mobikwik via Zingoy. It is a fact that making purchases especially of our favorite stuff feels nice but you should also remember that you can only pay your bills if you have enough on your digital wallet. With Mobikwik, doing so won’t be a problem. However, you should also exploit other avenues that give you a chance to enjoy offers. One of them is making your recharge through this Zingoy page of Mobikwik. It gives you access to whatever service you want on Mobikwik and apart from that, it also gives you an opportunity to grab Mobikwik cashback offers over and above the regular discounts of Mobikwik coupons and offers. You’ll find lots of them daily right here. Some of the great Mobikwik offers you can grab include but are not limited to 10% cashback on recharge, up to 100% OFF on recharge and bills, upto 200% SuperCash on first add money, and many other such hot deals. Your friends could probably be enjoying all these deals and you are the only one left out. There’s no other cashback website that makes it easy and assures you of getting offers whenever you recharge or make bill payments. 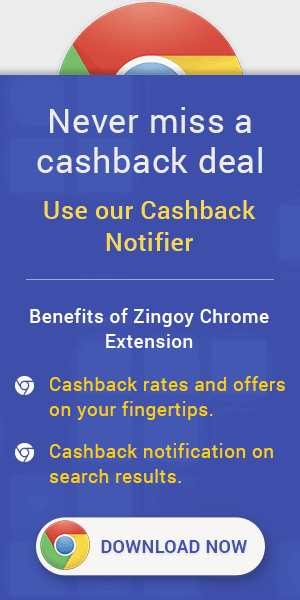 Zingoy should, therefore, be your number one cashback site. Just transact on Mobikwik via this site and you’ll automatically earn amazing cashback. How to find Updated Mobikwik Coupons on Zingoy? If you love discounts but haven’t been getting them, then Zingoy is the place to find lots of them. You won’t miss Mobikwik promo codes and coupons on this Zingoy page if you make sure that all your recharges and payments are made through here. They are always available and there is no single day you won’t get a good Mobikwik coupon or offer. Indeed, this is no doubt the most reliable website when it comes to getting cashback offers from all leading and popular online stores and services provides. Steps on How to use Mobikwik Promo Code? At Zingoy you can check for the wide range of Mobikwik offers available on the store page. Find all the latest available Mobikwik promo code on Zingoy and save maximum on your electricity bill, water bill, and online recharge. Steps on how to apply the given coupons.